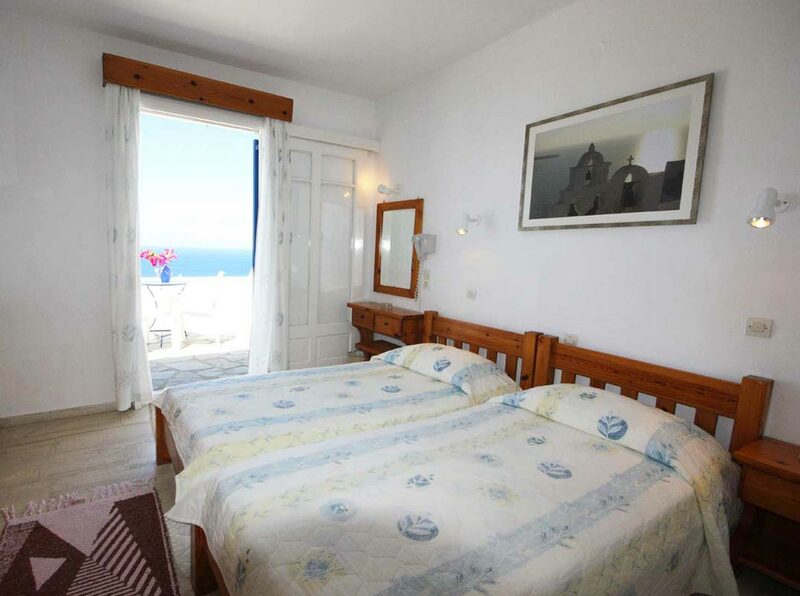 Situated on Tagoo, the most privileged spot of Mykonos town, Sahas Studios offer clean and comfortable rooms with immense view to the new port and the light blue waters of the Aegean sea, making it the ideal option for those who seek hotels in Mykonos with views, whilst being within walking distance from Mykonos town. 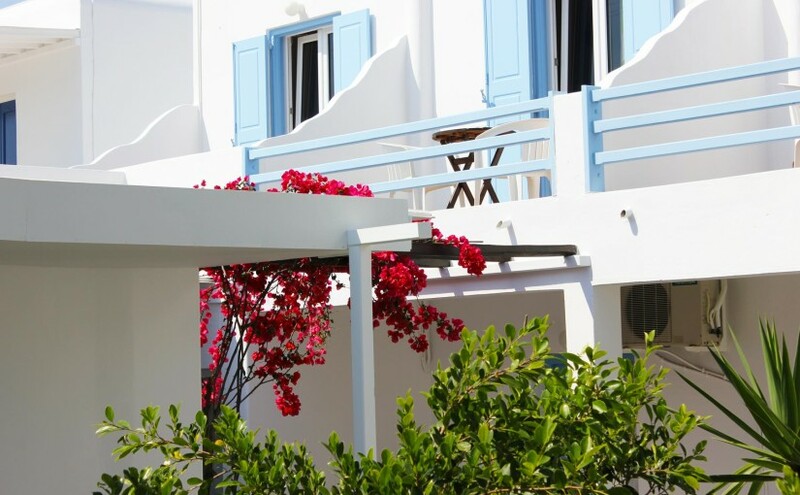 Having as principle the provision of competitive prices to make for an inexpensive stay in Mykonos, flexibly priced room types and promotional packages are offered, such as accomodation with car or bike hire, while ensuring the property’s high standard services. Inspired by the local architectural style of the traditional Cycladian Houses called “Arhontika”, A Design Hotel in Mykonos have merged the Greek Island tradition with the highest aesthetics and design concepts, using top quality materials for a comfortable accommodation in Mykonos in affordable luxury. Spacious and stylishly decorated Design Suites & Deluxe Rooms, following the local rhythm and offering wonderful view towards the gardens, the swimming pool or the sea, infuse relaxing, carefree holidays and guests’ comfort as well. 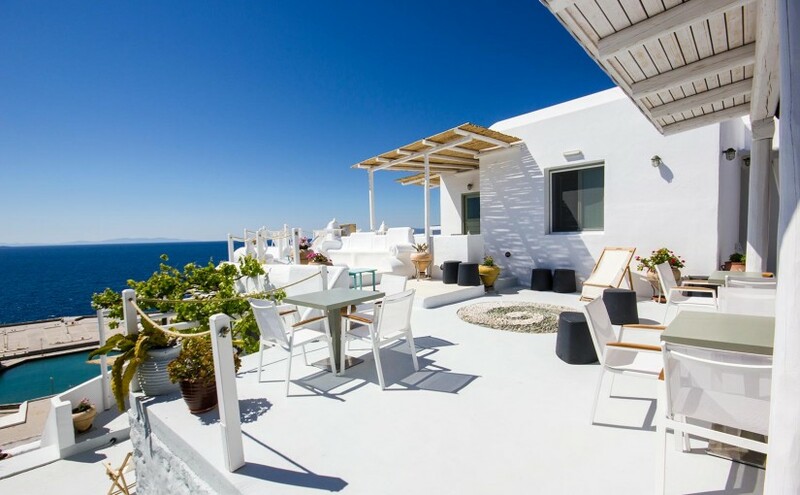 The high quality accommodation and the professional service provided by A Hotel in Mykonos, ensures for an unforgettable holiday and a top choice among design hotels in Mykonos Island, Greece. 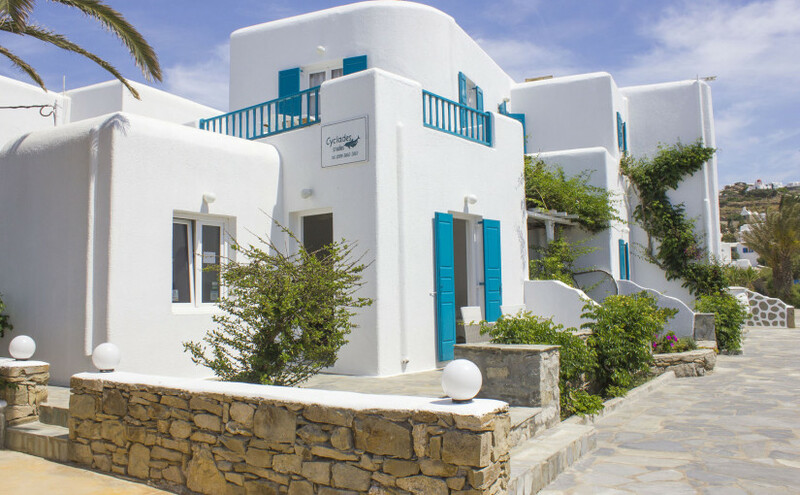 A budget but cozy hotel located in Mykonos Town at the settlement of Tagoo which is just 500 meters away from Mykonos Town Center, a world-famous destination adored by everyone that has been to Mykonos Island, which part of the Cyclades Island group, in Greece. 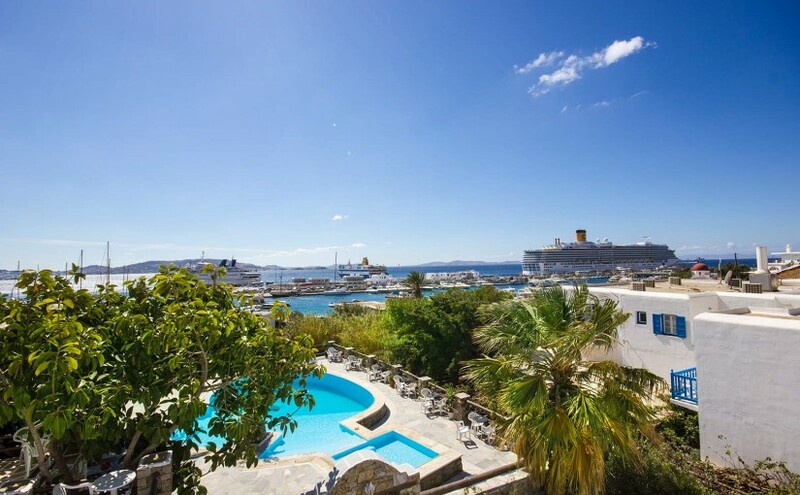 Spanelis budget Hotel is an all-welcome hotel in Mykonos Town, consisted by 13 clean and fully-equipped rooms, with all necessary hotel amenities and facilities for a relaxing and careless accommodation in Mykonos. 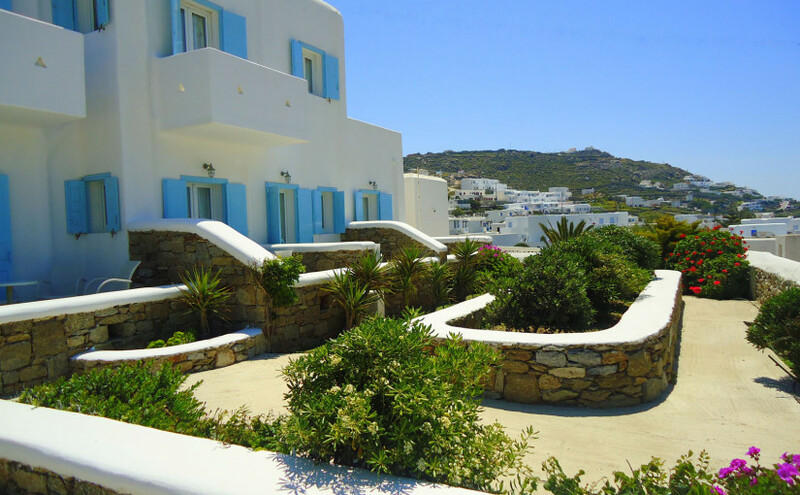 Spanelis Hotel in Mykonos Town offers room for rent in Mykonos, operating from May 1st to September 30th. The multilingual management can attend to your needs and make your stay enjoyable. 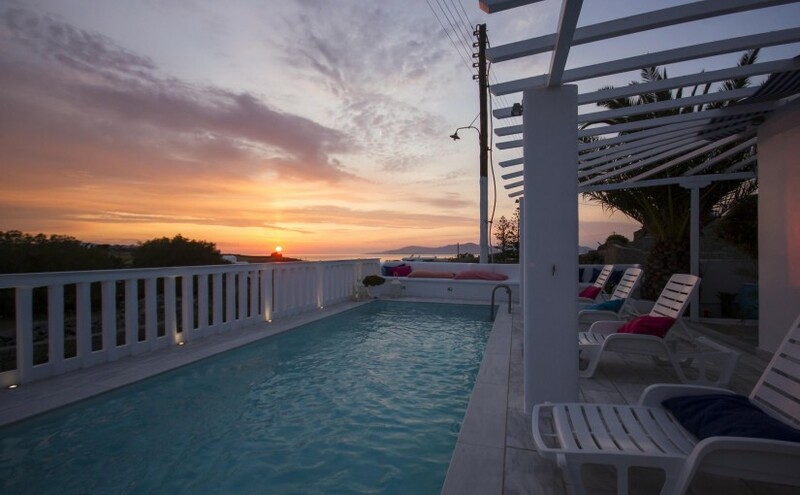 Next to Spanelis hotel in Tagoo, Mykonos, there is a swimming pool that can be used for your convenience, if one drink is ordered at the bar, which is the perfect spot to end your evening after a full day on the golden sanded beaches of Mykonos, in Greece! Traditionally built in a Cycladic rhythm with its typical colours of light blue and white, Sourmeli Garden is the ideal option among Mykonos Town hotels, as it is situated just 400 m. away from Mykonos Town (Chora) and offers comfortable rooms with balcony and all modern comforts as well as a beautiful terrace with garden, where guests can start the day. Omiros Hotel has been a family owned hotel since 1963. Omiros Hotel embodies the epitome of Greek hospitality, offering breathtaking amazing views, close proximity to the beach, and great service. 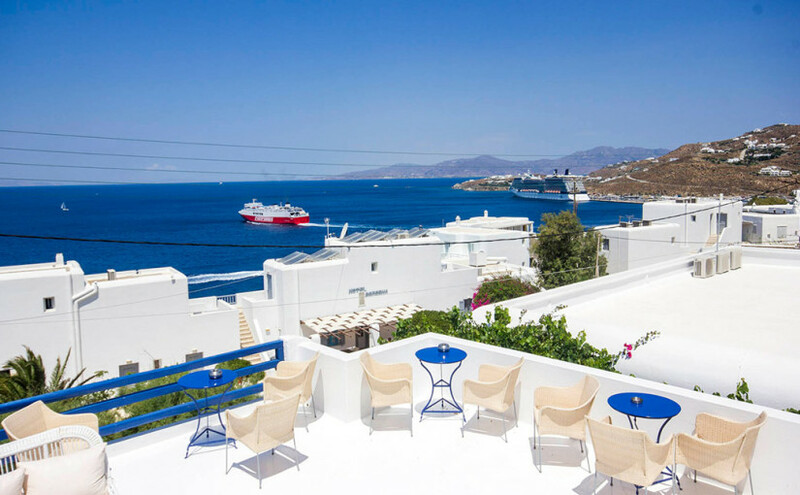 Nestled on a cliff above the old port of Mykonos, Omiros Hotel has been offering the best view of Mykonos Town since its inception & the best reviews ever written for accommodation of one star Hotel in Mykonos island. The historical Omiros Hotel building emulates ancient Cycladic architectual designs inspired by the colours of nature such as yellow for the sun, green for the flora and blue for the sea, creating a minimal style environment of soothing colours emitting positive energy. Its beauty and simplicity creates a calming atmosphere, which is further enhanced by the unique and breathtaking views of Mykonos Town and the blue waters of the Aegean Sea. 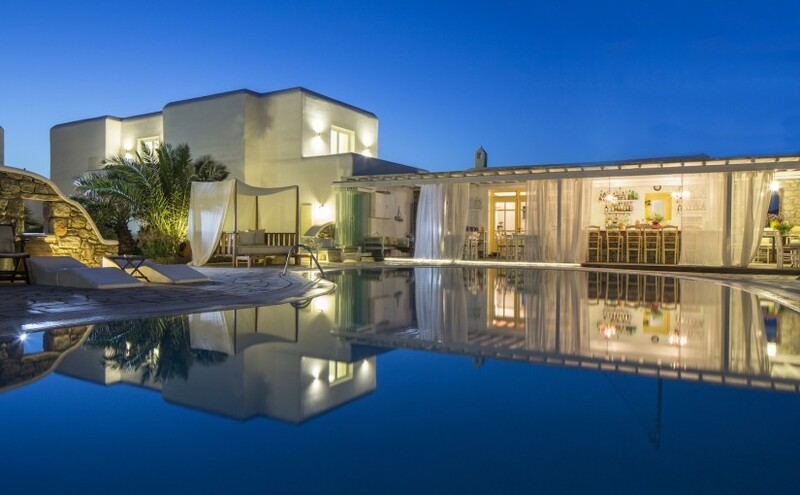 Amaryllis stylish studios in Mykonos, Greece are located in the quiet suburb of Mykonos Town called “Glastros”, on the road towards the famously known beaches of Psarrou and Platis Gialos that attract the world’s jet set, within just 1 km. 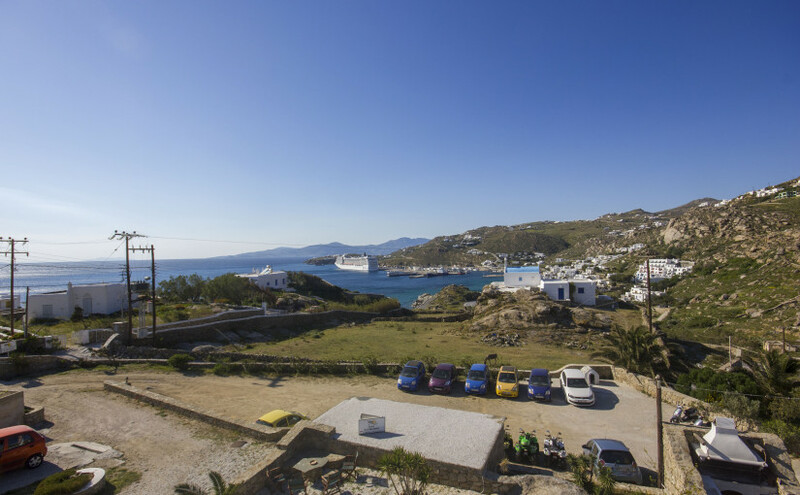 from the town of Mykonos and only 10 meters away from the nearest bus stop, conveniently located for exploring easily the golden sanded beaches of Mykonos, the cosmopolitan Mykonos Town and the rest of this magic cycladian island in Greece. All studios & apartments come with a kitchenette including refrigerator, satellite TV and private bathroom with hairdryer. Furthermore, Amaryllis provides guests with parking space on site free of charge. Its 11 spacious and traditionally furnished rooms with all the needed facilities guarantee a comfortable accommodation near Mykonos Town and relaxing moments on the cosmopolitan island of Mykonos.